For me, Lou Reed was always a kind of specter. I grew up on Long Island and Long Island has three true patron saints when it comes to popular culture: Billy Joel, Lou Reed and Jay Gatsby. Say what you will about Billy Joel, but he is inextricably tied to any Long Islander's identity in some way or another. While Jay Gatsby is a fictional character that represents America and the vision of a romantic Long Island that wasn't sustainable and couldn't ever truly exist. 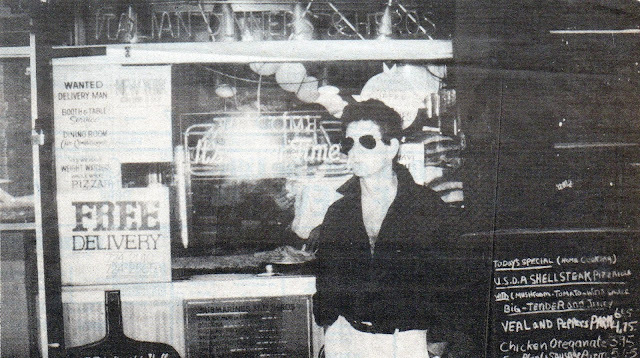 Lou Reed was the strange ghost that hung over every Long Island town. Though he was born in Brooklyn (technically part of Long Island), Lou Reed grew up during the 1950's in a town called Freeport, which during that era defined Long Island as much as was humanly and symbolically possible. He escaped the Island and went to Syracuse University like so many other Long Islanders. Then, upon graduation, he moved to New York City (again like countless other Long Islanders) in order to experience and explore the world. The difference is that Lou Reed was never an average Long Islander. He was bisexual as a teenager and forced into receiving electroconvulsive therapy in order to cure his "illness." And, once he moved to New York, he didn't work in finance, slave away at a law firm, or expense dinners on a publishing company's tab; he became a cultural and musical icon. An illusive figure of change and artistic striving and freedom. Once you achieve that level of influence and cultural importance, the place that you grew up will inevitably want to claim your spirit, legacy and being as their own, even if the powers that be wanted to change you to adhere to the bottom line while you were still in your formative years; finding out just what you were capable of when you plumbed the depths of your lonely and singular soul. But on Sunday, Lou Reed died on Long Island, so perhaps we were right to lay claim to his legacy. He may have had New York's spirit, but he has long been the Island's ghost. Gentle, slow-rising amber sun filtered through tree leaves and fell across the lawn of my front yard on the morning of September 11, 2000. My house was silent in the dim blue-grey light of six o'clock as I prepared for school on my fifteenth birthday. 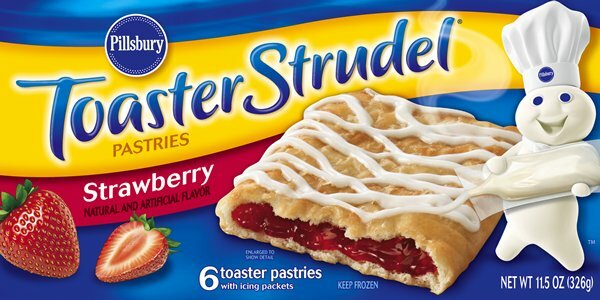 I shuffled around the kitchen, making my sandwich for lunch and putting two strawberry Pillsbury Toaster Strudels in the oven for breakfast. On the table, my mother had stacked my birthday presents like she always did. I sat down with my browned, mass produced pastries, spread on the too-sweet vanilla frosting, and bit in. As thin strudel flakes fell to the plate, I pulled open the wrapping paper on my presents. The first was a best of Led Zeppelin CD, Early Days, which started one particular chapter of my life. The second was Different Times: Lou Reed in the 70's. Knowing my mother, I think the third present was a new sweater or a crisp button down shirt from the GAP, but based on the impact the first two gifts had on my life, I can't remember that now. I put the Lou Reed CD aside and placed the Led Zeppelin one in my navy blue Jansport. As I prepared to leave for the bus, my mother tip-toed down the stairs in her robe. "Happy Birthday," she said, kissing me on the cheek. "Thanks for the presents, Mom. I took the Led Zeppelin with me to listen to on the bus." "That one's from me. The other one is from Dad." "One of your dad's favorites." I thanked my mother, kissed her goodbye and headed towards the bus, where I placed the Led Zeppelin CD in my Discman and tried to catch a few extra minutes of sleep slumped in the leather seats. It took me a few months to get around to the Lou Reed. When I finally cracked open the Lou Reed album, it hit me hard. My musical education had accelerated after discovering Led Zeppelin. I soaked up their entire catalog, took out an unauthorized biography from the library, and even made a hasty, still-frame video tribute to them in my Video Production class at school. Digesting their work led me to Pink Floyd and Black Sabbath and AC/DC and the fringes of both the Beatles and the Stones, but the nagging feeling of grief I had of neglecting my father's present caused my musical education to take a distinct left turn. The first Lou Reed track that stuck with me was "Kill Your Sons." I had no idea what it was about, but it just sounded so dark, so desolate and depraved. The haunting chorus of "Don't you know they're gonna kill/Kill your sons/Until they run, run, run/Run away" captured my imagination in a way I had never experienced before. One winter school night, sitting at the table covered in dried sweat from basketball practice and eating the dinner my mother had left for me, my father came in from work late as he usually did. I kissed him hello and he sat down to eat with me. After asking about my day, our conversation settled to a silence. "I've been listening to that Lou Reed CD you got me." "Oh, Lou? One of my favorites." "It's good," I said. "It's weird." "He's from Long Island, you know." "Yeah, grew up in Nassau." "There's this song 'Kill Your Sons' that I like." "That's a great one. It's about him being in a mental institution." "Yep, listen to the lyrics." So, I did listen to the lyrics and all of a sudden words like "thorazine" and "Creedmore", "PHC" and "crystal smoke" started jumping out of the cutting lead guitar lines and sedated vocals. And then so did the lyrics and subtleties of countless other tracks. I don't need to explain the charms of "Vicious"; the genius of "Satellite of Love"; the relentlessness of "I Can't Stand It"; the staggering power of "Berlin"; the druggy, depressing bliss of "Sally Can't Dance"; the devastation of "Caroline Says II"; and the pure, genuine reverie of "Coney Island Baby." I was in for good. By the time I was sixteen, I was well versed in Lou Reed—both solo and with the Velvets—and was hanging around the halls with a high school con-artist named Evan. Anyone that went to high school encountered a guy like Evan: he had a band called Ladrone, acted like a guru, and pretended that he knew a lot more than you. He used to stand against a brick wall by the cafeteria and hold court, talking about music, weak philosophy and whatever the hell else you talk about when you're sixteen or seventeen. Most likely girls and weed. Evan and I had a creative writing class together, where he would tell me what Beat books to read. We'd trade stories and partner up for our teacher's well-meaning exercises. He wrote hard to understand prose poems in the vein of William Burroughs, while I wrote meandering Kerouac influenced short chronicles and scenes about junkies that were lifted directly from Lou Reed songs. One day Evan came into class and said that he saw Lou Reed in the Starbucks in Port Jefferson. He told me that Lou Reed had a house in Old Field, which was a section of old money estates on the bluffs in our town. He said that Lou was getting a coffee in Port Jefferson because he attended AA meetings there and also still received medical treatments at one of the three local hospitals, he wasn't sure which one. At this time, I had already grown skeptical of Evan and what he could offer me. But I believed him because I wanted to believe that Lou Reed did have some attachment to our secluded area of Long Island and that I could easily stumble upon him and tell him that "Head Held High" was better than any song the Stones wrote; explain to him that the crescendo in "New Age" made my blood rush in a way that no other song did; and to promise him that I whole heartedly believed that "What Goes On" might have been the best song of all time. Like I said, I was sixteen years old. At that time, I listened to "Sister Ray" on repeat in the halls at school and I used to play The Velvet Underground and Nico when my friends and I would hang out with girls that were a year younger than us. I don't think I did it to be cool—maybe I did. Instead, I think I did it because I have always sought to keep myself at a distance from people despite how close I get to them, to always remain different in some way. And needless to say, playing that music kept me at a distance with those girls. Years passed and I listened to Lou Reed and the Velvets. I better understood Berlin. I got into Street Hassle and The Blue Mask. I knew the self-titled third album so well that its songs practically ran through my bloodstream. Anyone that loves Lou Reed solo or loves the Velvet Underground doesn't need a full explanation of what the music does or what it means. As it is, I've already done too much of that. Like anyone, I passed the rest of my teenage years and young adulthood confused and unsure, all while trying to keep it together on the outside. I warped my brain with substances, long nights, weird acquaintances and misplaced anger. I constantly felt as though I were disappointing someone, whether it were my family, my friends, my imaginary offspring, some kind of universal deity. And I had never even done anything truly terrible like one of the characters in Lou’s songs. I should mention I’m a Catholic. Many times, I felt as though I had nothing to say to my own parents. Not for any fault of their own (well, maybe at points), but more because that's just the pain of life. No one will ever understand anybody else's life, not even your own parents. Communication fails, even when we're good at it. But even in the most silent periods with my father, when I felt there was nothing else for us to talk about, he could walk into a room and say, "Hey bro, what's the word?" (which was a shorthand we had for saying "hello" to each other), and all the desolation of the world and my loneliness within it would fall away. Why? Because those were lyrics from a Lou Reed song off New Sensations called "My Friend George." My father's name is George and it was a song we both loved. And that's all we'd need at those moments. In my early twenties, while I was working long hours for a boutique law firm, my friend had an extra ticket to a Lou Reed performance of "The Raven" in Cobble Hill. On the day of the performance, I crossed my fingers and worked as hard as possible so that I could leave early to make the show. But such is life that a client had a contract crisis with the Sponsor at her new condo building in Williamsburg and I would need to stay late to work on some new clauses to sneak into yet another legal rider. My friend said the show wasn't very good, but she didn't love Lou as much as I did. I'm almost thirty now. Last week, a commercial for Playstation 4 came on TV and, since I don't like video games, I naturally ignored it. That is until the end of the commercial, when a sung refrain of "You just keep me hanging on" was repeated, while a guy in a car spun through the air over explosions and alien battlefields. I jogged the jukebox of my mind and remembered that it was the end of the chorus from "Perfect Day." It took me longer than I would have liked to place the lyrics and the melody, which made me feel terribly sad. It had been a long time since I had sat down and listened to Lou Reed. The first thought I had when I heard that Lou Reed was dead was, "I wonder what he was thinking when he died." I've been infatuated with a lot of transcendent artists and pop culture figures over the years (those who died during my time on earth and before it), but never before had this thought crossed my mind. To be honest, I'm not completely sure why it did, but I believe it is because Lou Reed is the first artist—musical, literary, popular or otherwise—who has died during my lifetime that actually changed the way I experienced and thought about the world. I was too young to fully understand Kurt Cobain's death; Levon Helm and his aesthetic vision of rock music were extremely important, but he wasn't of my time and never truly belonged to me; and while I loved Alex Chilton and Big Star had a profound effect on me, but they still didn't affect me in the same fundamental way that Lou Reed did. Of course, George Harrison's death affected me, but his death belonged to the world in the way that only a Beatle's death can belong to the world, which is part of a phenomenon that is wholly unexplainable, no matter how much it is analyzed. While Lou Reed in his own way belonged to the world, there was nothing cosmic about him; at least, not in the same way that the Beatles and their intersection with fate and mass cultural consciousness were cosmic. No, Lou Reed was always more immediate, more flesh and blood, open wounds and battered souls, than the Beatles ever were. While the Beatles opened your mind to the impossible and perfect peaks that music could reach and thus, change the way you experienced the world, Lou Reed's music forced you to encounter the world head on; a world full of junkies, broken marriages, shock treatment, sexual confusion, and vulnerable 3:00 AM moments curled up with a sheet and stale glass of water. Lou Reed's music pushed your imagination into the dark veins and currents that run underneath and alongside everything good in the world. That is to say, he hooked your mind into the pain that is existence, which is what good art does. And that is why I wanted to know what he was thinking at the very moment he left this hard, physical, sore, beautiful world and fully became a ghost. Nicely done. I especially love the late nights with a sheet and a glass of stale water. I think Lou would have liked that.